This radio frequency Braille keypad was designed for the visually impaired. 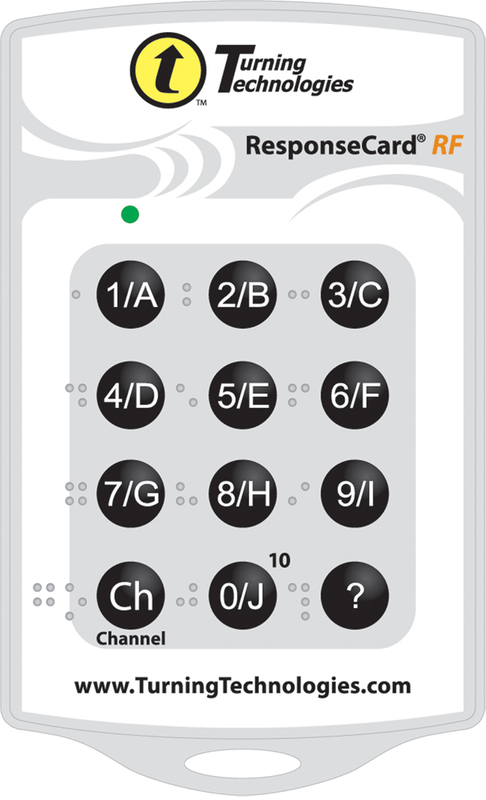 The keypad contains all the features and functionality of ResponseCard RF, but with Braille characters adjacent to the corresponding buttons. 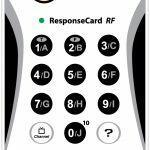 ResponseCard RF A includes a vibration motor that pulses when various actions occur. Its lightweight, rugged and durable enclosure allows it to be easily transported from room to room or around the globe for optimum portability. ResponseCard RF A is compatible with TurningPoint assessment software. Card through two-way communication. Successful transmis sions are acknowledged on the participant’s keypad via three second green light signal and vibration – see codes above.